This week Community Sports and Therapy Center supports #ShowUsYourBlue on Friday, June 16th in honor of Men’s Health Week. 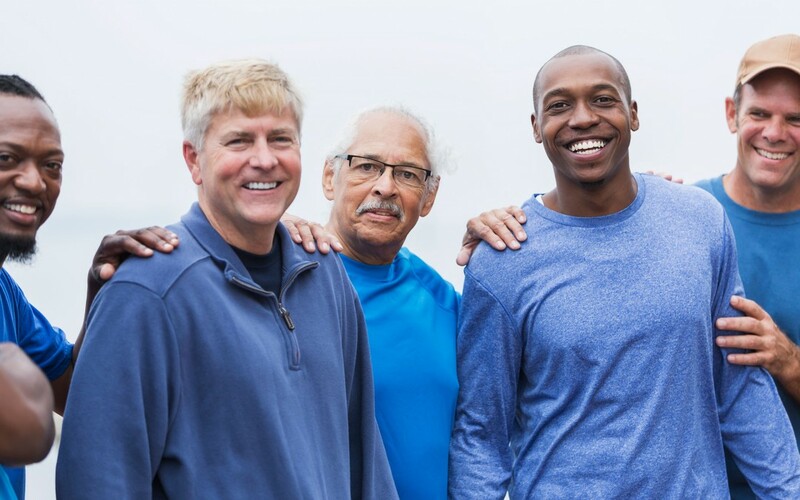 CSTC offers specialty programs that can provide men the treatment and education they need to reach and maintain a healthy, active lifestyle. Our compassionate staff can provide care for a number of problems including pain, weakness, stiffness, difficulty walking, falls, dizziness, vertigo, memory, speech, swallowing, incontinence, and much more! Our clinicians offer research based treatment to assist their clients in achieving their goals. Did you know that many men suffer from incontinence of urine and are afraid or embarrassed to ask for help with this problem? Did you know that this type of problem is common following procedures for the prostate gland? Did you know that there is help for this common condition? The specially trained staff at CSTC can assist men in tackling this problem. A treatment program designed specifically for each individual based on their specific needs and problems can include therapeutic exercises, behavior/diet modifications, relaxation techniques, and neuromuscular re-education using biofeedback as needed. All treatments and consultations are private and confidential and performed in a one-on-one environment. Men can be reluctant to seek treatment for problem areas, not wanting to call attention to what they feel is a sign of weakness, or they might be embarrassed to discuss a certain problem they may have. Please encourage the men in your life to seek intervention for their medical concerns so that they can reach good health and wellness. Contact our Coldwater office regarding additional information on our Men’s Health program at 419-678-5125. Join CSTC this Friday in supporting #ShowUsYourBlue for all the men in your life!! !